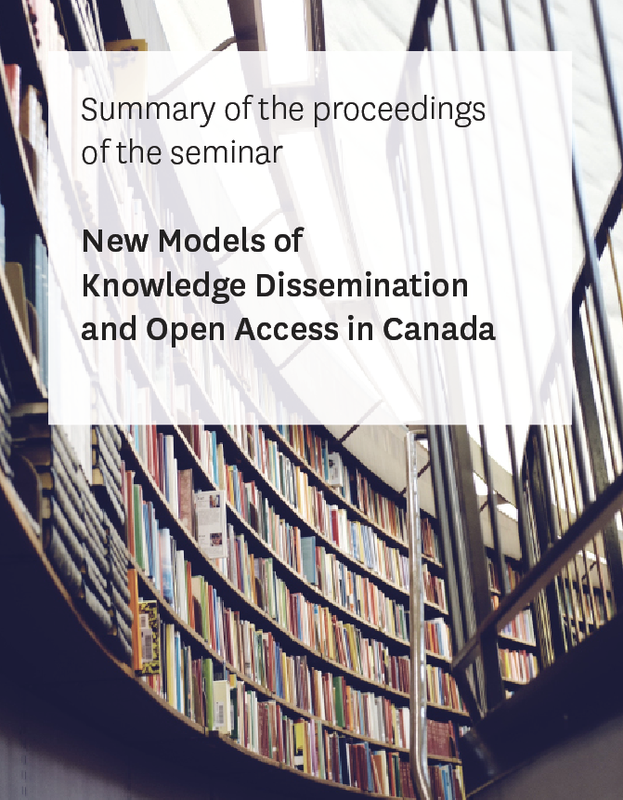 The New Models of Knowledge Dissemination and Open Access in Canada seminar has been organized jointly by Érudit and the Canadian Research Knowledge Network (CRKN) and flows from a discussion that the two organizations began two years ago, which has resulted in a lasting relationship between scholarly journals and libraries. The purpose of the seminar is to expand the discussion to all stakeholders in the world of scholarly publishing. The new open-access paradigm for disseminating knowledge raises major challenges for everyone at the seminar: transformation of approaches to dissemination, changes in economic models, new funding agency mandates and policies, skyrocketing costs of scholarly communication. The new challenges disrupting the ecosystem of scholarly publishing are leading to deep changes in forms of funding; it is therefore essential for all involved in dissemination of knowledge to reflect together on solutions facilitating the transition to open access. By opening the dialogue, the seminar establishes the foundations of such reflection so that the CRKN-Érudit partnership can offer a joint vision of what we should and can do together, with both partners demonstrating solid commitment, sharing of knowledge and pooling of expertise and competencies.